Nursing Research: "A scientific process that validates and refines existing knowledge and generates new knowledge that directly and indirectly influences nursing practice." Evidence Based Nursing/Practice: 'An integration of the best evidence available, nursing expertise, and the values and preferences of the individuals, families, and communities who are served." to provide the highest quality and most cost-efficient nursing care possible. to advance quality of care provided by nurses. to focus on nursing practice away from habits and tradition to evidence and research. 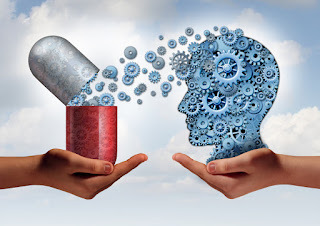 Best evidence includes empirical evidence from randomized controlled trials; evidence from other scientific methods such as descriptive and qualitative research; as well as use of information from case reports, scientific principles, and expert opinion. Searching the literature for relevant research. Critically appraising what has been found. If change is warranted, following steps occur. Evaluating the change in practice. Collect appropriate and accurate data to generate evidence for nursing practice. Analyze data from clinical practice. Design interventions based on evidence. Examine patterns of behavior and outcomes. Identify gaps in evidence for practice. Evaluate project to determine and implement best practices. Resistant to changes in nursing practice. Ability to critically appraise research findings. Time, workload pressures, and competing priorities. Lack of continuing education programs. Fear of "stepping on one's toes"
Evidence based nursing started in the 1800s with Florence Nightingale. EBN is a problem solving approach to clinical decision making. 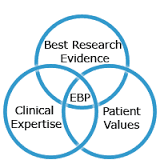 EBN integrates providers' clinical expertise with the best external clinical evidence. with the best available clinical evidence, such as nursing practice in to patient care.